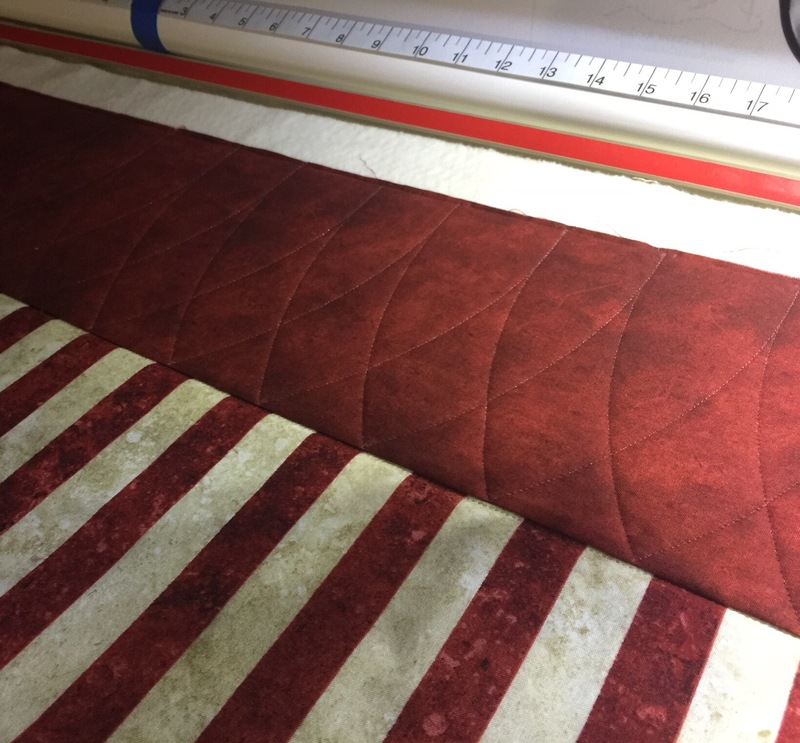 I’m so glad to finally be quilting this QOV. I’m doing a lot of ruler/template work on this. 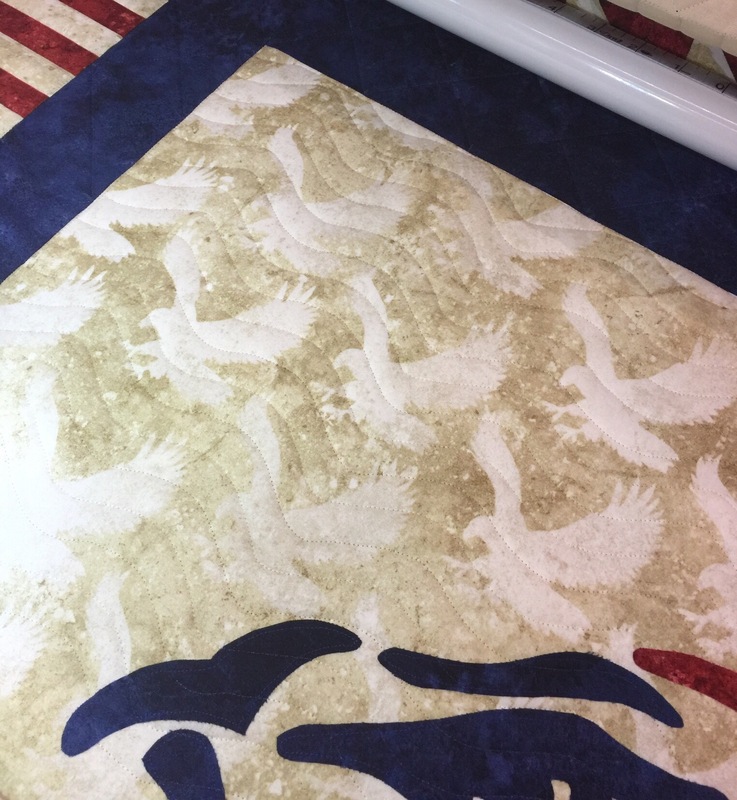 I decided to use my pattern boards to quilt the center panel with the eagle. I just taped off where the panel borders were. It worked out quite well. This turned out wonderful! I want that pattern board. The quilting looks great Katy! 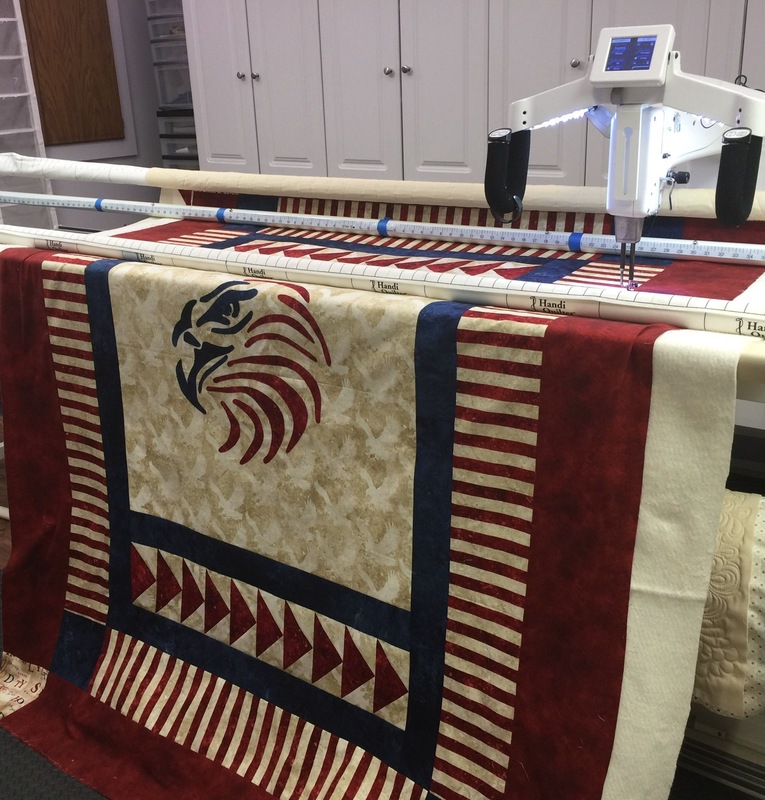 What pattern did you use for the Eagle – this quilt is absolutely beautiful!!!!!!!!!!!! This is looking quite lovely! The ruler work will be well worth it. Interesting what you decided for the middle. This is a beautiful quilt before quilting, and it will be even more gorgeous afterward! This is so very striking, Katy! Excellent choices for quilting designs! This is looking really good. I knew you’d come up with something just perfect! Superb! The quilting fits it to a “T”! 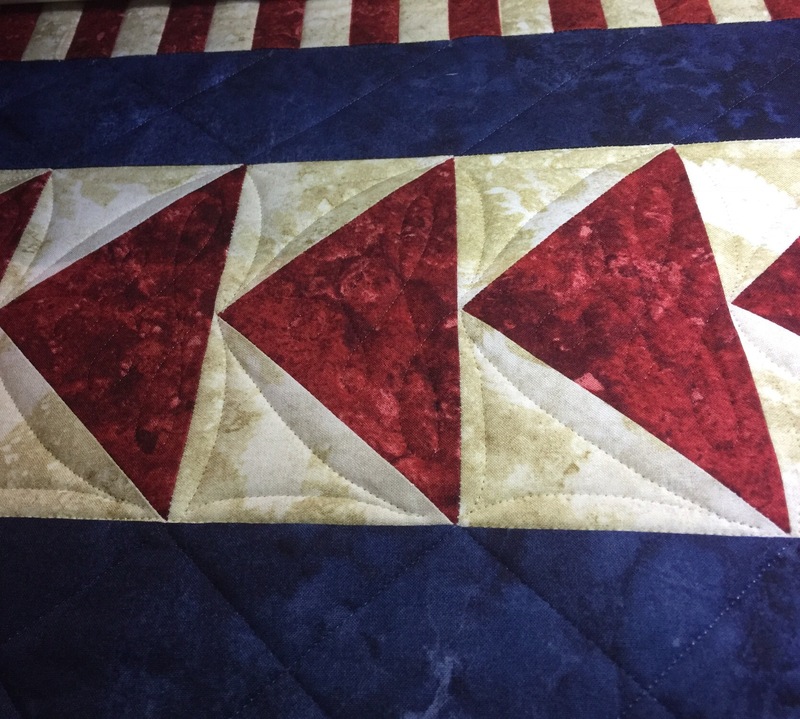 The quilt is beautiful, from the piecing to the quilting. 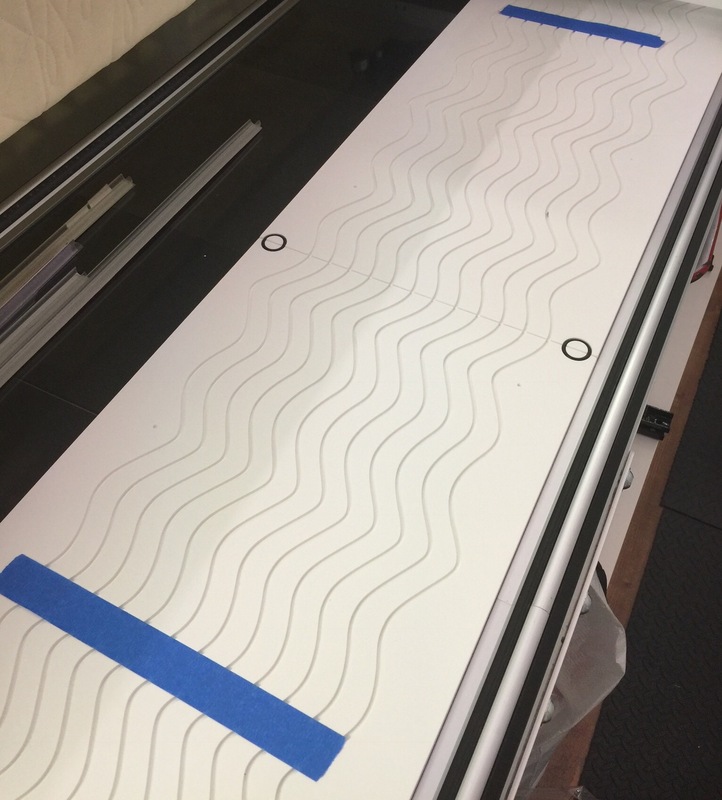 I love the wavy pattern board. Would love to try them.